Which Dentist Should Do Your Dental Implants in Fort Lauderdale? Are you one of the 178 million Americans who’s missing at least one tooth? If so, you’ve probably done some research on replacement options and found that dental implants in Fort Lauderdale are the next best thing to your own teeth. While they’re certainly an investment of time and money, they also provide a big payoff: a restored smile that looks and feels very natural and lasts decades, if not a lifetime! That’s why it’s so important to find the right dentist who can not only provide you with outstanding results, but also puts you at ease through every step of the process. So how do you go about finding the best dentist for the job? Keep reading for some tips and tricks! One of the best things to happen to the modern consumer is the wealth of reviews that can be found for nearly every type of product or service – and dentistry is no exception. Reviews are absolutely one of the best indicators of the quality of work a dentist will do. In addition, you can learn valuable information about their staff, chairside manner, facilities and more, simply from spending some time reading reviews. In addition, you can also ask about video testimonials and before-and-after photos of work a dentist has done on actual patients. Especially when it comes to dentistry, a picture is worth a thousand words! Ideally, you’ll be getting your implant from a dentist who pursued their education at top-notch institutions. Academic success speaks volumes about someone’s commitment to their career. Furthermore, when a dentist has made excellence a priority from the very beginning, it goes a long way in the type of results they can provide their patients. In addition to the right academic background, you want a dentist in Fort Lauderdale who has years of experience placing implants. Every patient has a unique set of needs and goals, making every case slightly different. When a dentist has provided implants for many patients of different ages, each with unique medical and dental histories, you’ll know they have the experience to handle your case with ease. Implants are a wonderful long-term investment in your smile. Doing the right research beforehand will pay off for many years and give you the high-quality results you’re after! 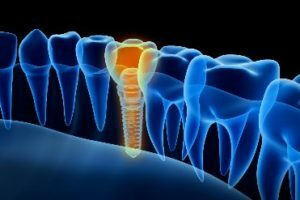 Dr. Marc Mingel is a general and implant dentist in Fort Lauderdale with excellent academic credentials, as well as many years of experience providing implants to a wide variety of patients. With countless 5-star reviews, it’s clear that he consistently delivers exceptional results to provide his patients with many years of great oral health. If you have any questions, he can be reached via his website or at (954) 566-1548. Comments Off on Which Dentist Should Do Your Dental Implants in Fort Lauderdale?